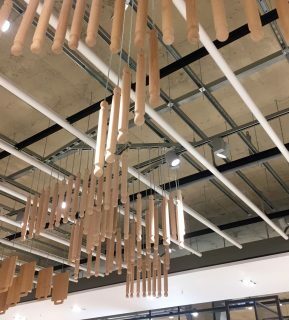 Last month saw the long-awaited opening of John Lewis at the new Victoria Gate shopping development in Leeds. But Victoria Gate isn’t just your standard shopping centre; it has been designed as a modern take on Leeds’ traditional shopping arcades. 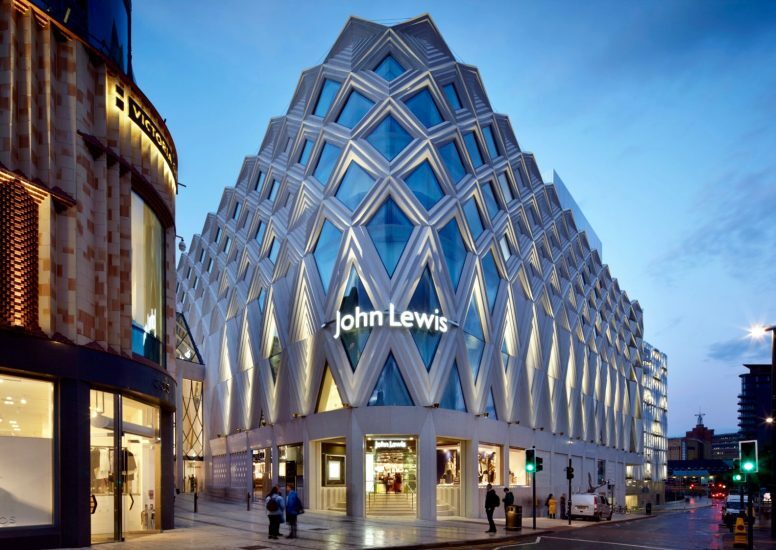 Although John Lewis is the most eye-catching store seen in this new development it would be rude not to mention the amazing polished black curved store fronts, zigzag patterned stonework and aspirational brands that can be found in this heritage-inspired space. Even from outside, this store is striking with the diamond-shaped concrete latticework that covers the stores exterior. It appears to take inspiration from Leeds heritage and their factories: a magnified view of cloth in clothing mills. This latticework is continued slightly more subtly around the rest of the shopping centre; found in the roof which mixes metal work and natural light, adding to the enjoyable customer experience. 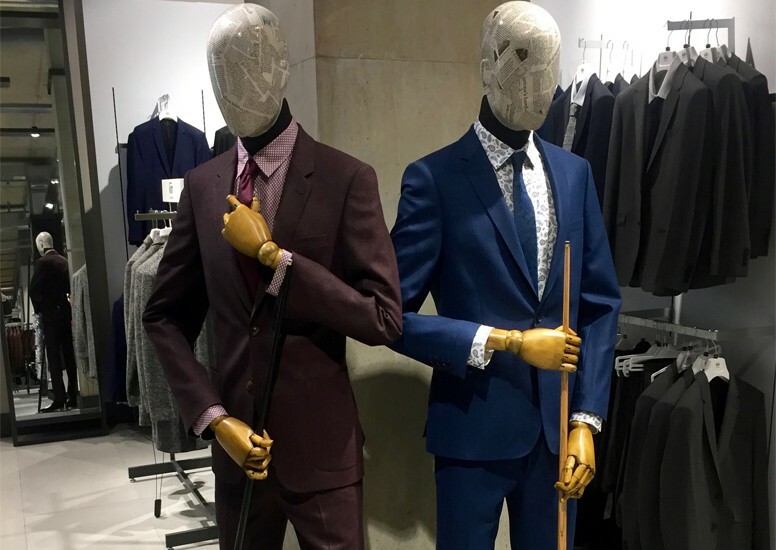 This store does away with tradition John Lewis features, opting to showcase their men’s clothing on the ground floor along with beauty and stationary. 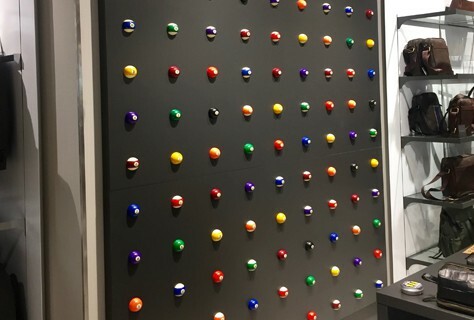 The customer is then taken up to womenswear on the first floor where they can find a vast range of brands, including some that are not seen in every John Lewis store. 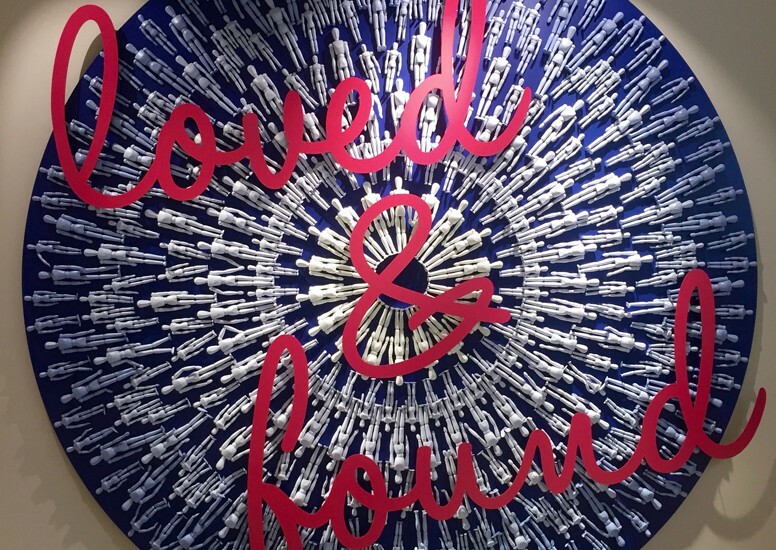 And let’s not forget the amazing Loved and Found space, selling their quirky and eye-catching pieces. If the shopping gets a little too much, then the first floor is also home to a beautiful coffee shop for socialising and of course, pondering about what to purchase next! 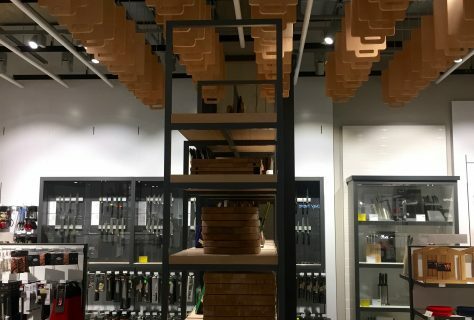 As you venture further upwards in the store you will find a homeware department, which is unmissable with its hanging chopping boards and rolling pins. 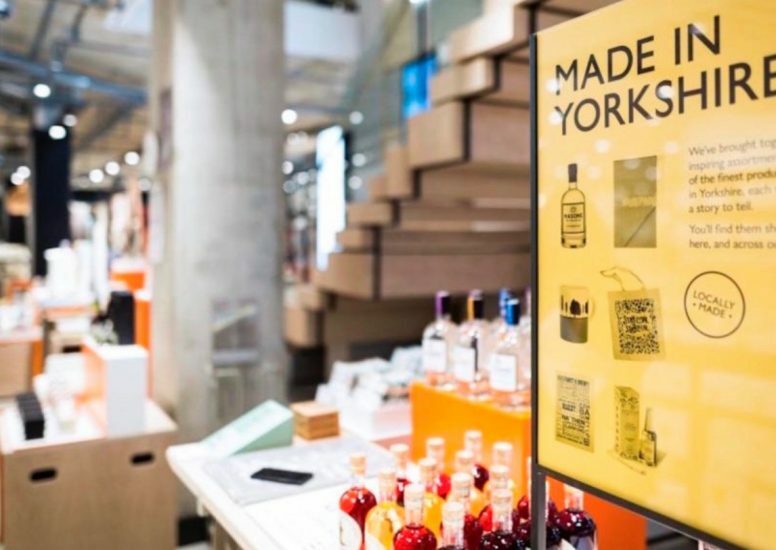 Along with a made in Yorkshire collection including vodkas that has been distilled locally. 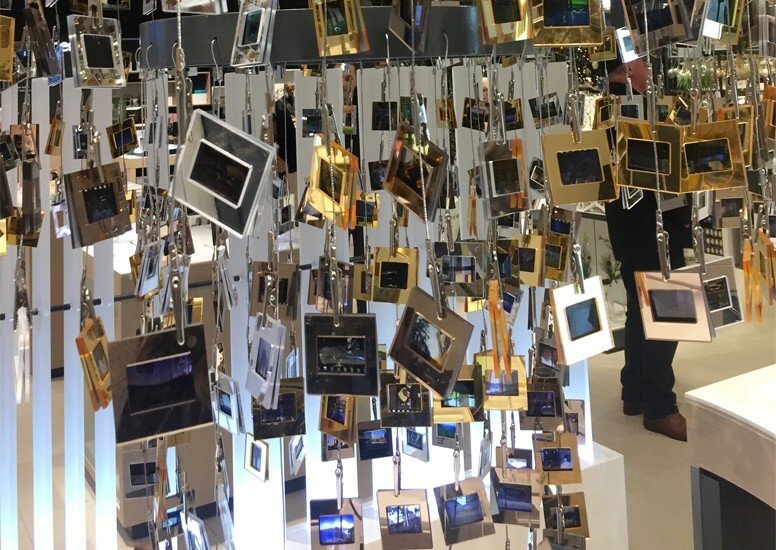 Moving around to the electronics department you will find old film negatives encased in hanging gold and silver frames, creating a central focus point for the department and drawing customers in for a closer look. 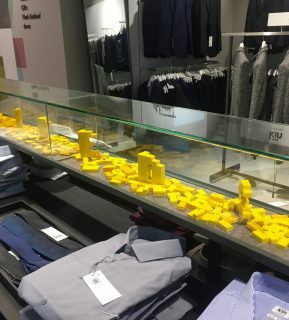 This themed visual merchandising continues around the whole store with the men’s department using pool balls, cues and Lego as props. Metallic knives and forks hanging around homeware, pom poms hanging in the sewing department and pencil shavings in the stationary department can also be found. 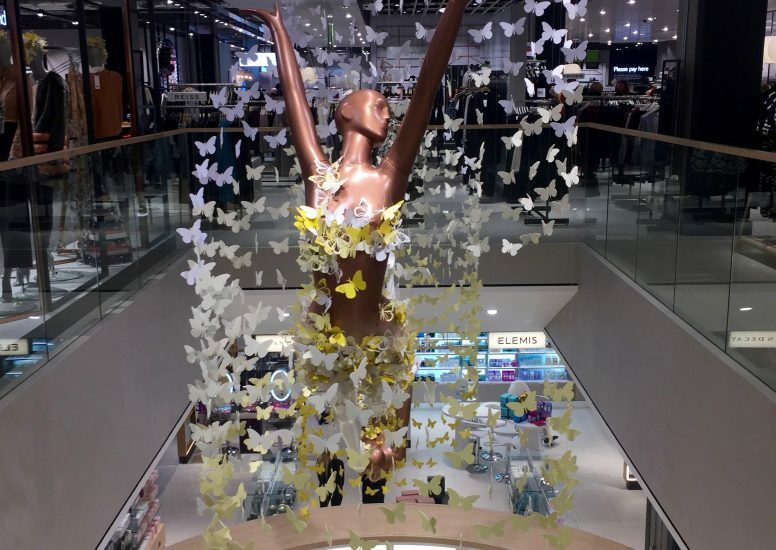 A personal favourite for us in store is the John Lewis mannequin hanging between floors, surrounded by little white butterflies, giving the appearance of it flying. 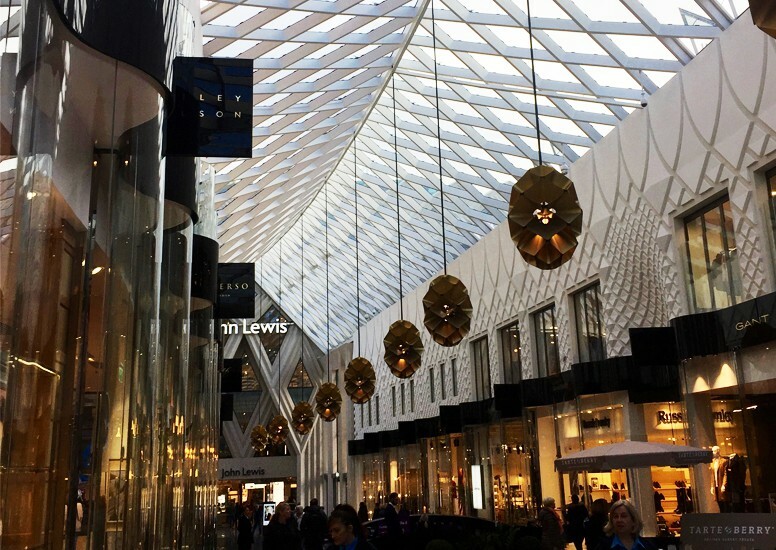 This new John Lewis store and Victoria Gate shopping arcade are definitely worth a visit if you are in the area!